Just found this great headscarf, in superb condition. I always pick these up when I come across them because they are unique. The floral, geometric or novelty prints are irreplaceable. Hand-rolled edges and interesting fabrics make them quality items which obviously stand up well over time (if not silk or fabulous mid-century rayon, they are often made of one of the mystery synthetics of that era as this one probably is). Nothing sparks up an outfit like one of these attention-grabbing pieces. Anyone with an “eye” will know that it didn’t come from a mall store or even modern Europe. But often, it just leaves them perplexed – “That’s a nice scarf. 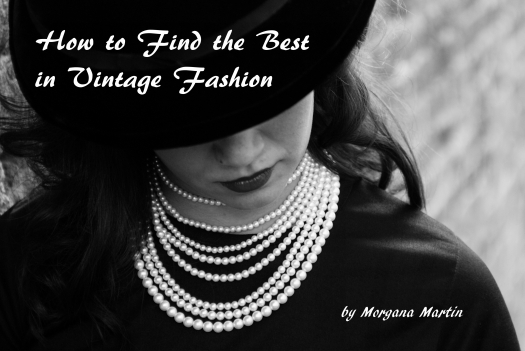 Where did you get it?” . . . . . . . . . . . .
Posted on April 19, 2018 by Morgana Martin, the magicvintagespy. This entry was posted in '30's, accessories, art print, blogger, classic clothing, fashion, find, guidebook, hand-tailored, headscarf, ladies, mid-century, photos, Post-war, retro, scarf, stores, Thirties, true vintage, Uncategorized, vintage, vintage accessories, vintage blogger, vintage clothing, vintage expert, war-time, WARTIME, women's, WWII and tagged '30's, '40's, '50's, 1930's, 1930'S, 1940's, 1940's, 1950's, 1950's, accessories, art print, ´50´s, blogger, classic clothing, fashion, Fifties, find, Forties, guidebook, hand-tailored, headscarf, ladies, ladies', mid-century, photos, Post-war, retro, scarf, shopping tips, stores, Thirties, true vintage, Uncategorized, vintage, vintage accessories, vintage blogger, vintage clothing, vintage expert, war-time, WARTIME, women's, WWII. Bookmark the permalink.